What happened at The Grammys! The Grammys is one of the biggest music award ceremonies in the world and it went down this weekend! There’s loads of awards that are given out, so we’ll just look at how some of our favourite stars did. Taylor Swift was nominated for Record of the Year but just lost out to Gotye and their tune Somebody That I Used to Know! Carly Rae Jepsen and Ed Sheeran were nominated for Song of the Year but lost out to Fun. 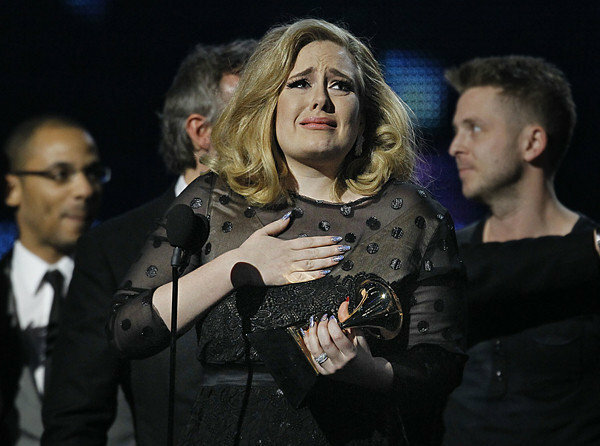 Adele won Best Live Performance for her gig at the Royal Albert Hall. Kelly Clarkson’s Stronger won Best Pop Vocal Album, beating Maroon 5 and Florence + The Machine! And Rihanna won Best Short Form Music Video for We Found Love. The show was also packed full of awesome performances from Taylor Swift, Ed Sheeran and Adele. Click here to see Taylor Swift’s performance.